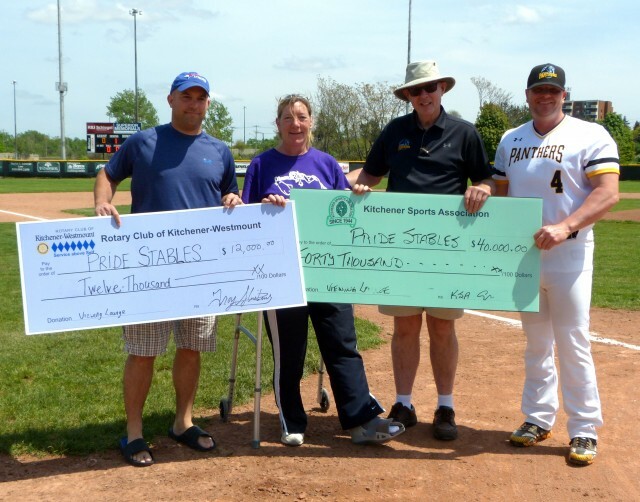 The Kitchener Sports Association (KSA) raises money, (through the sale of 50/50 tickets at Kitchener Rangers & KW Titans home games and bingo sessions at the KW Gaming Centre), for the benefit of local minor sports groups, their athletes and charities. 6 scholarships @ $2,000 each from 2016 (Owen Babcock, Seungjae Cho, Tanya Deboer, Dayna Nairn, Elias Srouji & Sabrina Zurbrigg) The June 2017 scholarships are paid in Sept. 2017 so are not included in this total. We're glad that, with the support from the Kitchener Rangers organization, OHL fans, the KW Titans and their fans, and the local community, we're able to provide funding assistance to local sports groups -- well in excess of $2,750,000 in the last 23 years alone! Grants were made for various purposes: capital projects, travlel grants, fee assistance, special projects, athletic excellence, scholarships and KSA sponsored projects . More details are on our website. On behalf of local athletes, thanks, one and all! KSA has unlimited 50/50 tickets for sale — one of the winners may be yours! Go Rangers Go! Let's Go Titans! Bingo!